As Google’s Waymo, General Motors Co. and others race to bring driverless automobiles to showrooms, the argument over who will buy cars in the technology era is getting louder. Hyundai Motor Co., a latecomer to electrification and autonomous driving, is betting against individuals owning robot cars and preparing for a future in which the biggest buyers will be ride-sharing giants such as Uber Technologies Inc., Lyft Inc. and GrabTaxi Holdings Pte. The South Korean automaker said last month it invested in Singapore-based Grab, Southeast Asia’s biggest cab-hailing service. Jang is the latest to weigh in on a topic fiercely contested by some industry veterans including Carlos Ghosn. The chief of the Franco-Japanese Renault-Nissan-Mitsubishi Motors alliance said in November that the traditional model is here to stay and alternative forms of mobility would only make a marginal impact. While Uber Chief Product Officer Jeff Holden has termed individual car ownership as “very inefficient” and will go away, Subaru Corp.’s Tom Doll said most people will continue to own or lease their vehicle in much the same way they do today. Hyundai, the world’s fifth-biggest automaker, is among manufacturers bracing for days when a car will be what Ford Motor Co. CEO Jim Hackett calls “a rolling computer,” differentiated more by its processing power. Hyundai, which is working on vehicles and software systems for a planned robotaxi service with Aurora, is investing in startups and talking to Waymo, Uber as well Grab, Jang said. Hyundai is seeking to provide a flexible, open platform in its cars, so buyers could customize applications to suit their needs, unlike some rivals that are developing vehicles for, say, delivery of pizzas or groceries, Jang said. “Who is going to match the requirements of the mobility-service provider will be a key factor,” Jang said. The Seoul-based company is scheduled to showcase its self-driving, fuel-cell NEXO sport utility vehicles during the Winter Olympics at Pyeongchang, South Korea. The car can drive more than 370 miles on a single five-minute charge, according to the company. 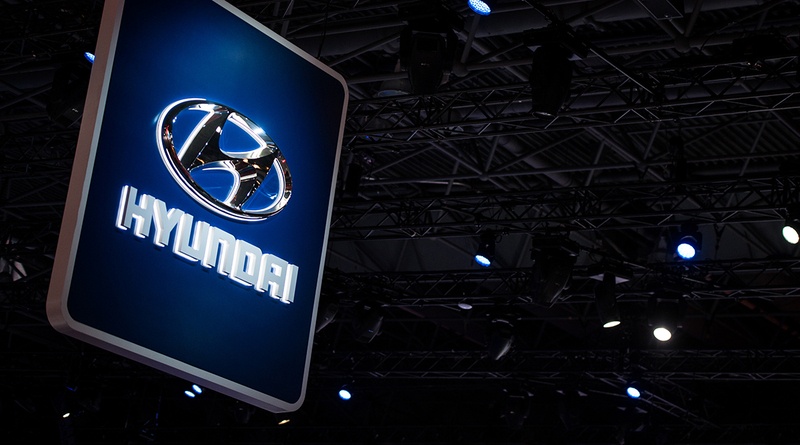 The success of the car on bumpy roads in the countryside surrounding the main stadium, with the mercury dipping 10 degrees below zero Celsius, will help Hyundai chart its future course as it seeks to close in on advanced rivals such as Nissan Motor Co. and GM.